The Kunekune pig developed into its present form in New Zealand, during most of the period these pigs have been in New Zealand they were kept almost solely by Maori communities. 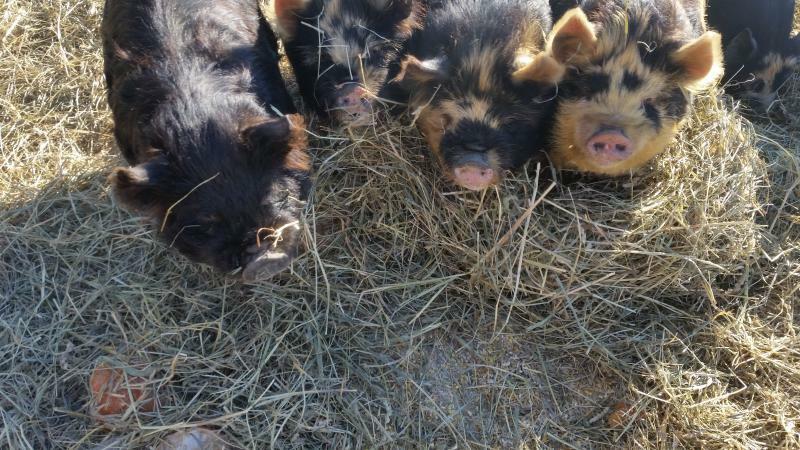 Kunekune pigs are relatively small and highly distinctive, characterized physically by a short-legged build, pot tummy, short upturned nose, and a generally roundabout appearance. 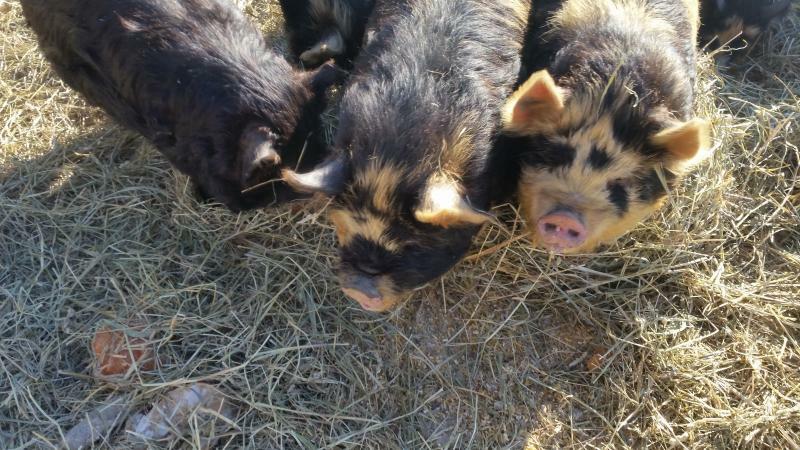 A unique feature of the kunekune are the pire pire (tassels) hanging from their lower jaw (about 4 cm long). But not all purebreds have tassels. Their legs are short and their bodies are short and round. The color range includes: Black, black and white, white, gold, tan and brown. Temperment-wise they are delightful, being placid, very friendly, and easy to maintain. They thrive on human company, and are extremely popular as pets. Our breeding stock, Eldrick (Tutaki/Jenny), Rupert, Leah and Teresa ( Ru/Trish).